In this episode of TBR hosts Trevor Robb and Brian Swane go over Sunday’s eight-match WWE Great Balls of Fire PPV event — and it’s shaping up to be a doozy! 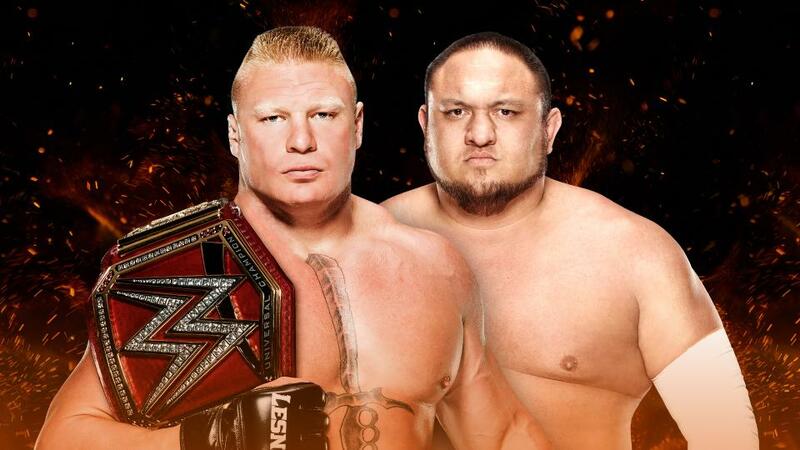 In what could be the best PPV event of the year, Brock Lesnar defends his Universal Title against Samoa Joe, Roman Reigns and Braun Strowman in a ladder match and the tag team titles will be defended in a 30-minute iron man match! Lots to go over — including some breaking news involving Austin Aries and the United States Championship — in a new episode of the TBR podcast. Tags: 780 Sports, Braun Strowman, Bray Wyatt, Brock Lesnar, Dean Ambrose, Edmonton, Roman Reigns, Samoa Joe, Seth Rollins, Triple H, Turnbuckle Radio, Wrestlemania, WWE, WWE Raw, WWE SmackDown. Bookmark the permalink.